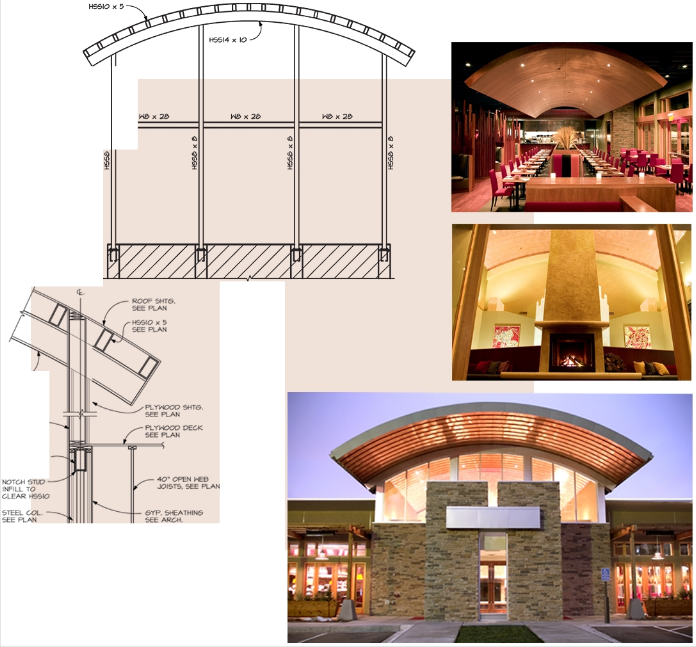 Structural solutions for a contemporary restaurant. When it was decided to replace the old Nora’s restaurant with a new building featuring an open contemporary look, it was MMY’s job to come up with ideas on how do build an elegant but affordable structural system. This building has many challenging structural elements including a barrel vaulted upper roof, clerestory windows and a heavy timber trellis covering an outdoor seating area. All of this had to be accomplished with the large open seating areas and flexible free flowing space a modern restaurant requires.